You've got the customer service job interview. Well done! 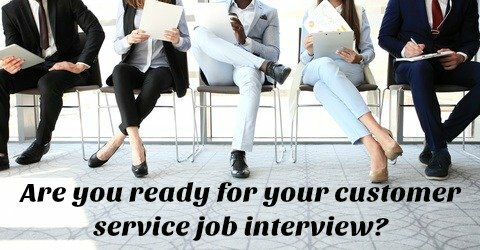 Prepare thoroughly using these common customer service interview questions and answers and be sure of standing out as the best candidate for the customer service job opportunity. 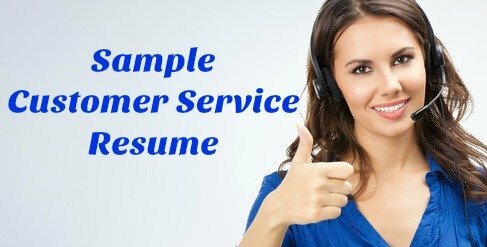 All customer service positions involve creating a positive relationship with the customer and ensuring the interaction the customer has is an efficient and satisfying experience. Expect interview questions that explore your ability to provide the right service to the customer. Interviewers are impressed by candidates you have prepared good interview answers that demonstrate the relevance of their skills and experience to the position. We provide a comprehensive list of common interview questions with sample interview answers. What are your customer service strengths and skills? You can also expect customer service behavioral interview questions that look for evidence of the key competencies needed to succeed in a customer service position. How do you Measure Customer Service? Customer service positions include those in retail, the call center, on a help desk and in sales. Specific interview guides for each of these positions include a list of job-specific interview questions with practical interview answer guidelines. Before your customer service job interview carefully research the company. Familiarize yourself with the company's services and products, their mission, vision and future plans. Use this research to prepare some insightful questions to ask in the interview. This list of good interview questions to ask include those that explore organizational strategy and plans, management style and ethos and the job itself. These example answers for interviews will help you handle any job interview question successfully. Good communication skills are key to success in a customer service position. Listen carefully and ask relevant questions to clarify what the interviewer is asking. Answer concisely and clearly. Use these communication tips for job interviews to help you. 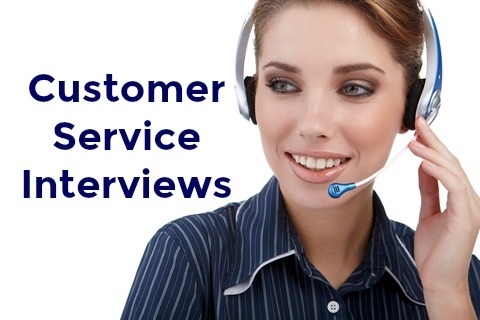 Prepare for any customer service job interview by using the interview guides put together by experts in the industry. The better prepared you are the more confident and professional you will be in your job interview. Impress the interviewer and get the customer service job you want. As brands try to become more "human" the quality of customer care becomes more important as people seek a human connection in a digital world. Increase in home-based customer service representatives as technology means people can connect from anywhere to anywhere. Customer service will be offered on an increasing number of digital platforms and channels and customers will expect to be able to start their interaction in one channel and complete it in another. Increased access to and use of customer data means customer service will become more and more personalized. Growth in video interaction between customers and customer service agents as networks allow for this. Increased focus on customer service delivery in non-traditional customer touch-points such as accounts receivable and shipping.